It's Not Work, It's Gardening! : It's seed inventory time! 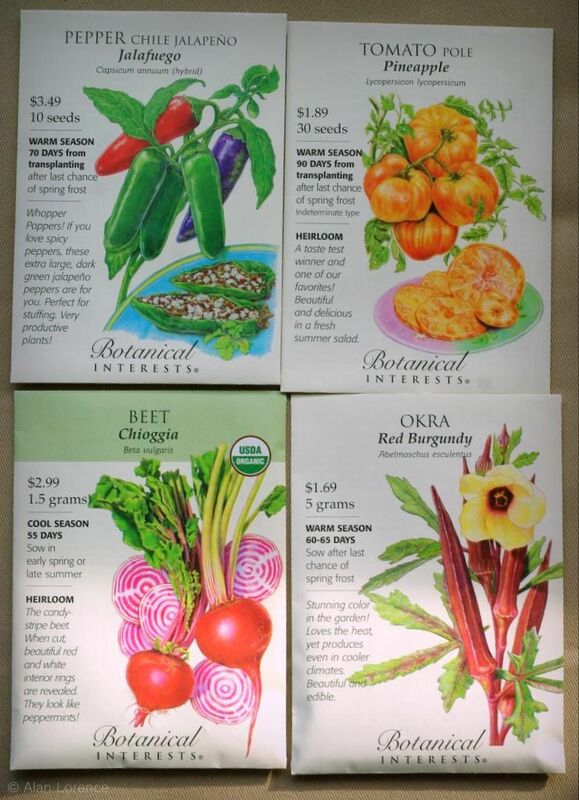 Most years the lure of the seed catalogs combines with an early taste of spring fever and I end up ordering seeds without regard for what I might already have leftover from previous years. The same applies when I visit local seed displays, with the result being that I usually have much more seed than I can use in a single season. This year I decided two things about my seed collection: first that I would review what I already had before making any purchases, and second that I would sow as much of my old seeds as possible this year. 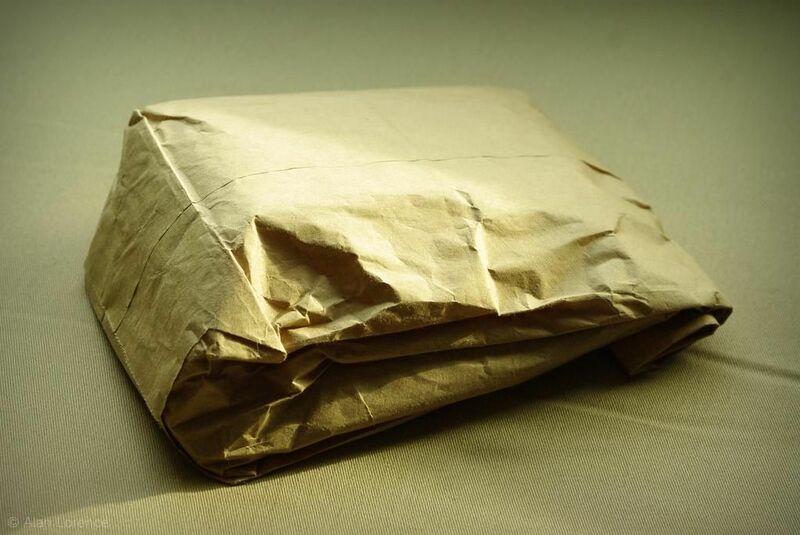 Today I start with the first part, and this simple brown paper bag. I received this back in July at the Garden Bloggers Fling in Portland as part of our goodie bag, and had almost forgotten about it. 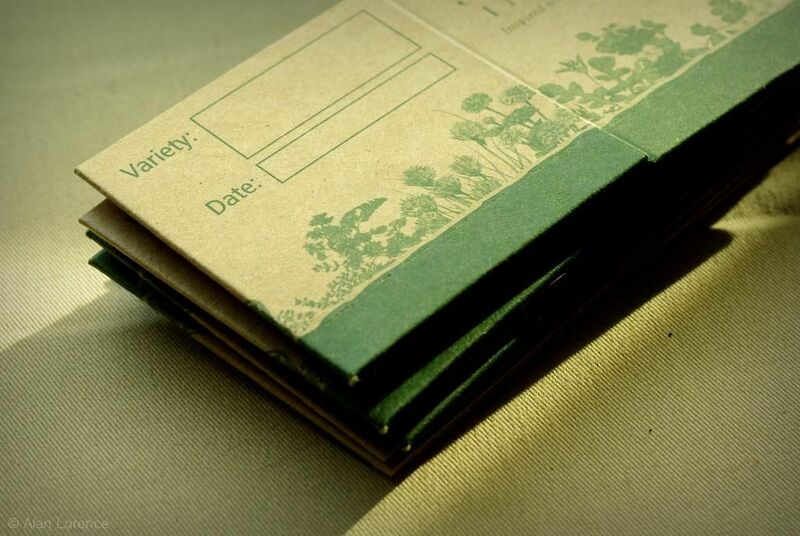 It's a collection of seed packets from Botanical Interests, one of my favorite seed companies! 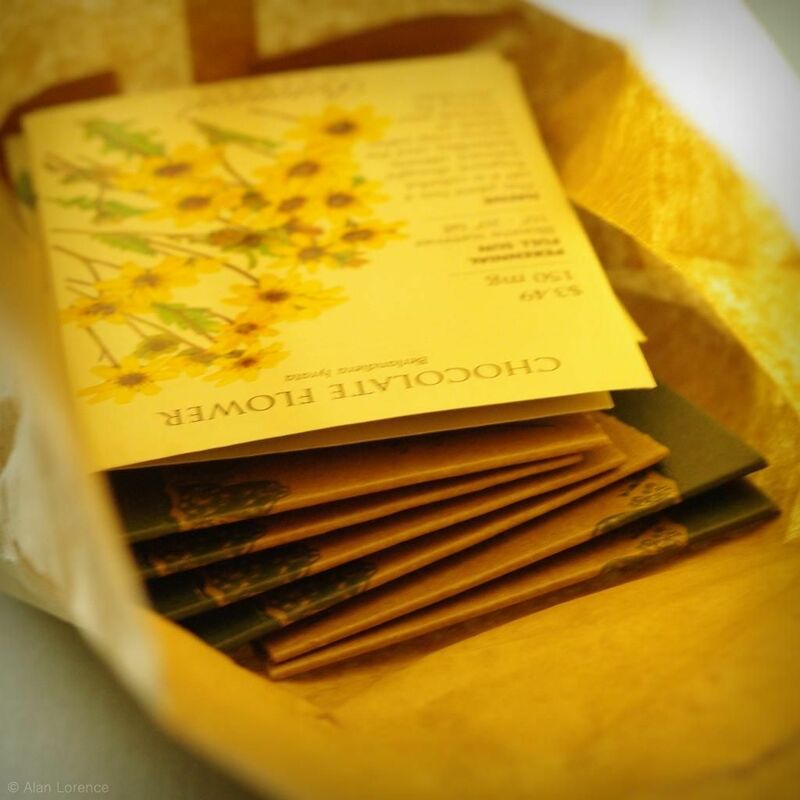 One of the local nurseries that I regularly visit carries Botanical Interests seeds, so receiving a small collection of their packets as a gift was quite exciting! ...including a packet of Chocolate Flower (Berlandiera lyrata), the one seed packet that I specifically look for every single year! 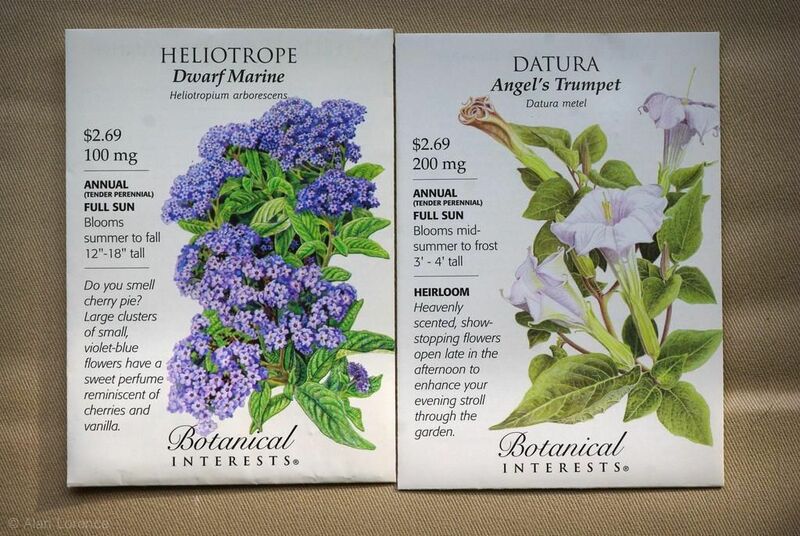 I'm going to plant every single one of these this year! The sun popped out and made the lighting quite uneven -- sorry! 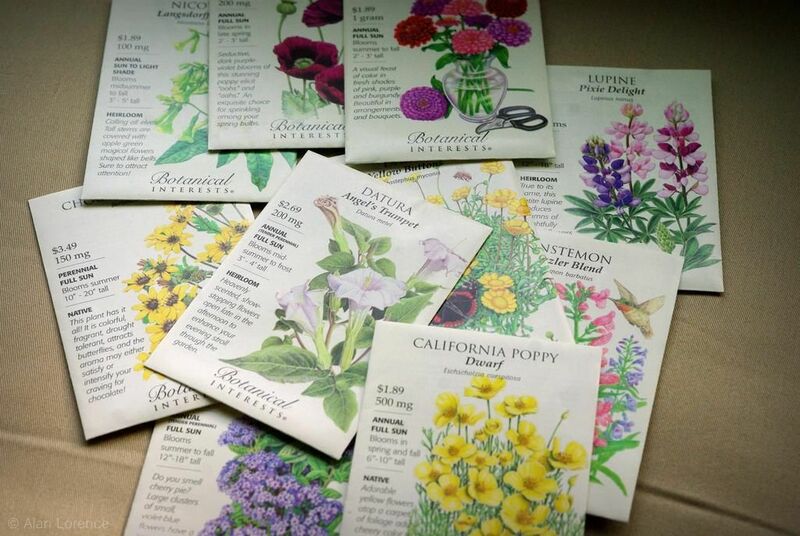 I was thinking that there was a packet of kale seeds in here (I want to get my kale started very soon) but I must be remembering a seed packet from a few years ago. I'm most excited about the beets (I grow them every year), melon, cress, and persian cucumber. The okra will probably go to my neighbor -- we're not okra fans in this house! 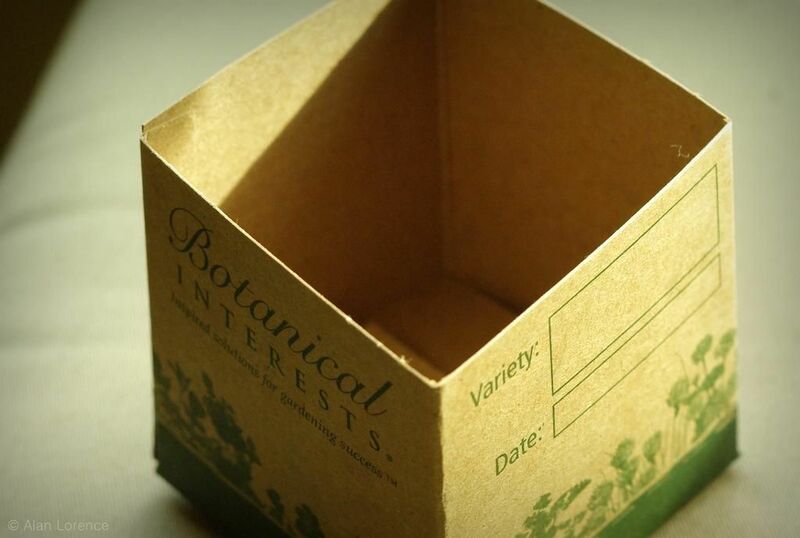 The Botanical Interests packets are quite distinctive and informative, basic white with hand-drawn illustrations and tons of cultural details (the inside of the packet contains more). So beautiful! I guess those could come in handy, although I generally use small plastic pots for seed starting. 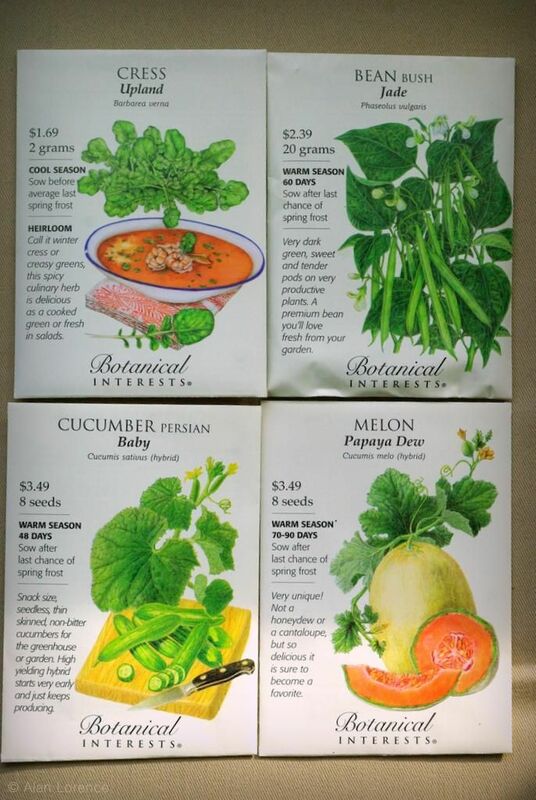 Plus there are only six of them -- I still need fourteen more just to grow one plant from each packet. Still, a nice gift from a great company. It looks like I'll be growing several new (to me) plants this season, which is one of my yearly goals. Thanks Botanical Interests! I was just looking at my little brown bag from Botanical Interests the other day. I put it on the back staircase so it wouldn't get misplaced and forgotten at seed starting time. 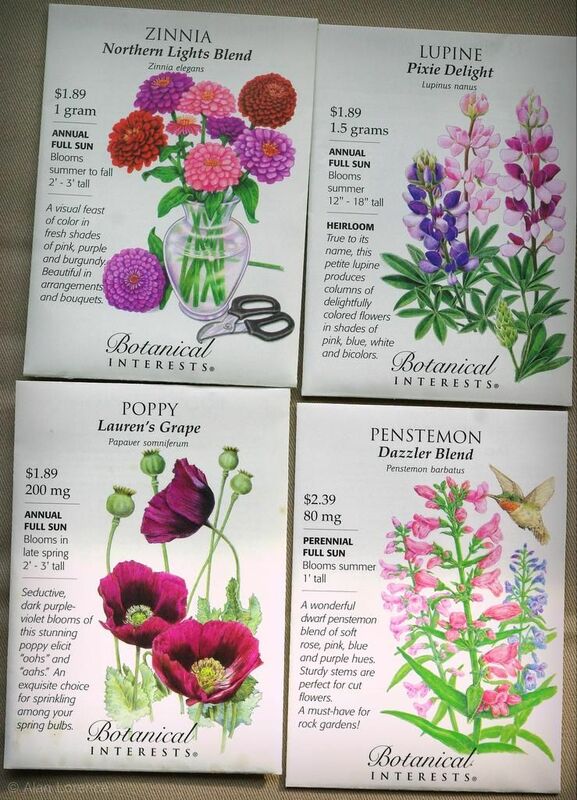 Fun post and a good reminder to look inside the bag before ordering seeds this year! 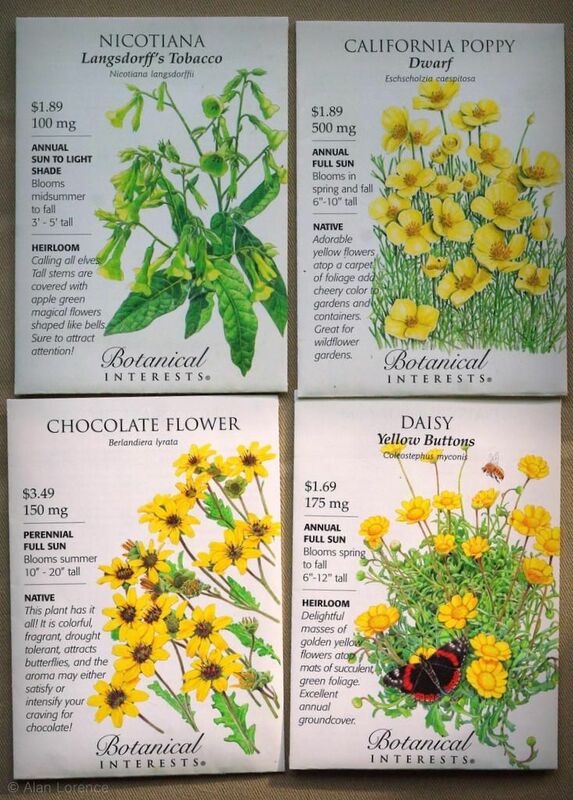 Botanical Interests is a great company and it's very nice of them to be a fling sponsor and to give us these cool seeds! We resolved to do the same - use what we have first this year before ordering more. It's not easy! 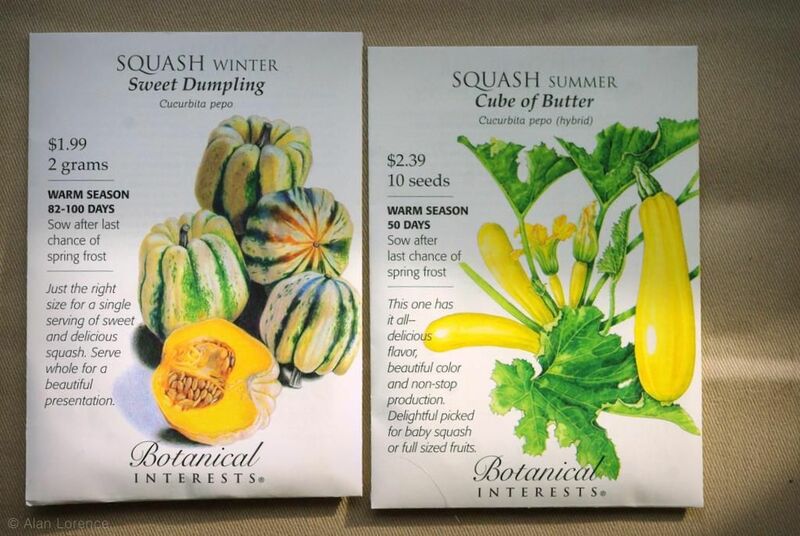 The lure of the seed catalogs is strong! We're doing winter sowing again this year so our seeds are already planted and waiting for spring.